Maximum performance. Works on 6 shells at once. Reloaded shell completed with every stroke. Does not resize as separate operation. Automatic primer feed is standard. 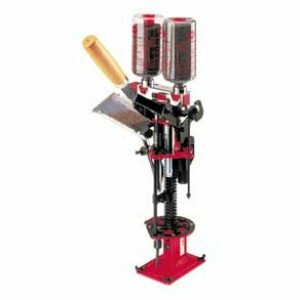 3 crimping stations - 1-starts crimp, 2-closes crimp & 3-places taper on shell. If you have any questions about this product by MEC, contact us by completing and submitting the form below. If you are looking for a specif part number, please include it with your message.